I have been interested in coastal engineering since I took my bachelors degree and decided to study further in that field. I was also interested in studying in Europe and there were several universities that had a good ocean engineering programme. In my experience, sharing knowledge is one of the best ways to know your strengths and weaknesses. Why did you choose to study MSc Engineering in the Coastal Environment at Southampton? 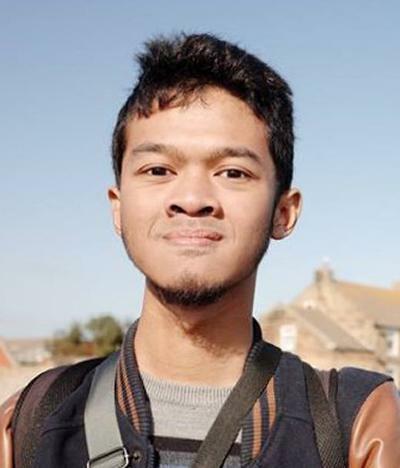 I chose MSc Engineering in the Coastal Environment at the University of Southampton because the website gave a very clear explanation about what we are going to study, had good facilities, and also, like most UK universities, the programme was offered as a one-year programme. I think ECE is a great programme for those who want comprehensive learning about coastal environment and engineering. Now I am back in Indonesia and I think about 90% of what I have studied in ECE is relevant to the industry! What is best thing about studying your course at Southampton? For me, the best thing that ECE programme has given to me is the inclusion of field trips on almost every subject I took. They greatly improved my understanding of what I have learned in the classroom. I also had a great time working on my dissertation. I was introduced to the industry by my supervisor and although I did not officially had an internship there, the feedback that the company gave to me was priceless. It was interesting to know the standard of an international company and how should I work to keep up with them. Lastly, I had a great time with my friends from different countries. From my cohort, students came from three different continents. What was your standout highlight during the course? The most memorable moment during the course was when I took the Applied Sediment Dynamics class. We had an assignment that seemed to be impossible at the beginning: we had to make a hydrodynamic model of Bramble Bank within two weeks. We even had to make our own survey route and points! Good teamwork and work efficiency were really required to have a satisfying result. Fortunately, my group was really supportive and understood each other pretty well although we all came from different countries. I really loved the collaboration! Last year, the company I was working on was included in the design of Jakarta coastal defence structure which is the part of National Capital Integrated Coastal Development (NCICD). I learned a lot of things including the importance of coordination between institutions to solve problems. I want to start my own coastal engineering consulting company someday. First I want to have as much experience in coastal engineering as possible, so I still want to have as many projects related to the coastal engineering as possible. I also like to regularly do a scientific research so I can improve my methodology to do my projects. In between, I also want to teach whether as a permanent lecturer or just a guest lecturer. In my experience, sharing knowledge is one of the best ways to know your strengths and weaknesses so I can improve myself later on. Read as many papers as you can. It is amazing how reading quality research papers can expand your knowledge.